Group A of the 2018/19 UEFA Champions League pits teams from Spain, Germany, France and Belgium against each other, though only one of the four competitors in the section enter the tournament as domestic league title holders. Atlético Madrid finished as runners up in La Liga in 2017/18, while Monaco were also the second best side in their homeland, playing second fiddle to runaway winners Paris Saint-Germain. Borussia Dortmund could only manage a 4th place in finish in the Bundesliga, which ironically leaves Group A’s least fancied side, Club Brugge of Belgium, as the section’s only current champions. Atlético Madrid finished as runners up in the 2017/18 Spanish Primera Division. They also won the 2017/18 Europa League. Since Diego Simeone was appointed as Atlético Madrid manager in 2011, Los Colchoneros have established themselves as a consistent challenger to the traditional La Liga duopoly of city rivals Real Madrid and Catalonian giants Barcelona. Up until last season, Simeone and Atlético had successfully replicated the performances from their domestic resurgence on the Champions League stage, reaching two finals in three seasons between 2014 and 2016. Their Group Stage exit in 2017/18 was an unexpected jolt to the club’s confidence but their subsequent run to the Europa League title was the best possible consolation prize. After a busy summer transfer window, the highlight of which was the signing of French international Thomas Lemar for €70m from Group A rivals Monaco, Atlético’s squad looks retuned and ready for another assault on European football’s biggest prize. The foundation of Atlético Madrid’s success under Diego Simeone has been built on their unparalleled organisation in their defensive third. With Simeone’s meticulous tactical instruction providing the blueprint, Atlético have had the best defensive record in La Liga for five of the last six seasons. With the onus very much on keeping clean sheets for Atlético, their numbers at the other end tend to suffer. 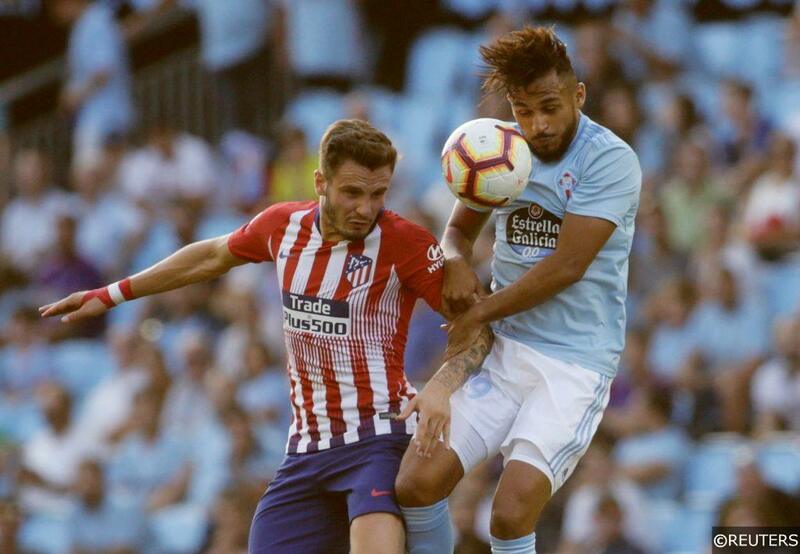 Los Colchoneros have some world-class attackers available to them, though they rarely play expansively enough to make full use of their talents. Last season Atlético scored just 58 times in 38 La Liga fixtures, which placed them as the 7th highest scorers in the division despite their 2nd placed finish. French World Cup winning attacker Antoine Griezmann is a player who regularly shines on the biggest stage. Griezmann scored 8 times in 14 Champions & Europa League matches in 2017/18, bringing his continental total for Atlético to 23 in 48. Club legend Diego Godin has been expertly marshalling the Atlético since he moved to Madrid from Villarreal in 2010. The 32-year old Uruguayan international is one of the most accomplished centre halves in world football. Godin signed a new contract at Atlético over the summer and he is the glue that holds their fantastic defence together. Atlético Madrid conceded just 4 goals on their way to losing just 1 of their 6 Champions League Group matches last season. They still finished 3rd. 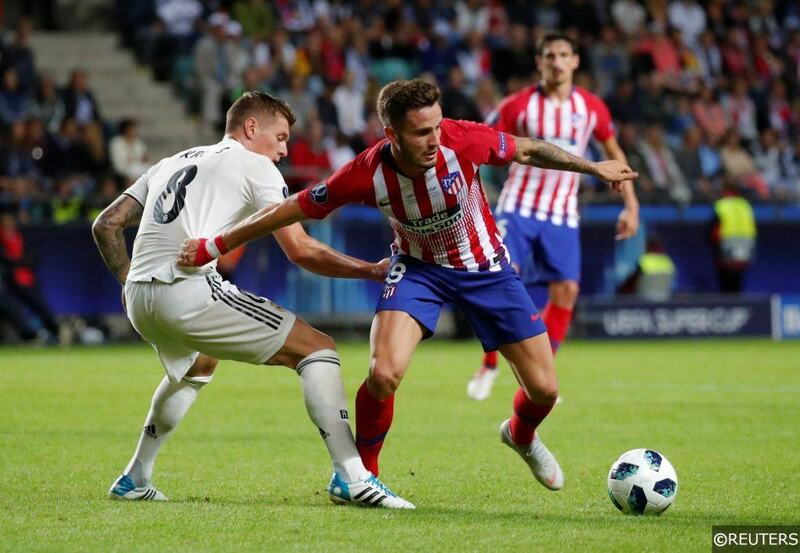 Atlético Madrid face both La Liga’s other “Big Three” directly before Champions League Group A fixtures this season, though their European matches following each of those huge games will at least be played at the Wanda Metropolitano. Two of Atlético’s three continental away fixtures are followed immediately by La Liga away games, though Diego Simeone needn’t worry about the rigours of extensive travel – their two opponents, Getafe and Valladolid are situated just 24 minutes and 2 hours 24 minutes away from the Spanish capital respectively. That brace of La Liga fixtures are preceded by trips to Monaco and Club Brugge, cities that are just 1 hour 55 minutes and 2 hours 20 minutes away by plane from Madrid. Borussia Dortmund finished 4th in the 2017/18 Bundesliga, earning them a place in this season’s Champions League Group Stage. They finished ahead of Bayer Leverkusen in 5th places by goal difference only. Borussia Dortmund won the Champions League in 1997, beating Juventus 3-1 in the final in Munich. They were beaten finalists in 2013 when they lost 2-1 to Bayern Munich at Wembley. Lucien Favre became the fourth manager to take charge at Borussia Dortmund in a little over year this summer. The Swiss coach ended a two year relationship with Ligue 1 club Nice to take over from Peter Stöger at the Westfalenstadion. Favre had previously managed in the Bundesliga with Hertha BSC and Borussia Monchengladbach before moving to France. Managing Borussia Dortmund has become one of the most difficult jobs in European football with coaches perennially tasked with rebuilding a squad that has been asset stripped to the tune of approximately £500m since their last appearance in a Champions League Final in 2013. Ultimately, their policy of selling their best players has caught up with them. Dortmund haven’t made it past the Quarter Final stage of the competition since that Final at Wembley and Die Borussen’s Group Stage exit last season (when they failed to win a single game) compounded what was a disappointing campaign overall. Der BVB were eliminated from the Europa League in the Quarter Finals too, though their season did finish with the salve of a 4th place Bundesliga finish. Securing a place in the Champions League has at least allowed Favre to start his Borussia Dortmund tenure from a relatively positive place. Borussia Dortmund like to play on the counter attack, preferring to explode forward from deep positions from fast turnovers. They also have a number of exciting attacking players who can produce game-defining individual moments of skill. Defensively, Dortmund still have work to do. Their central defensive pairing Manuel Akanji and Abdou Diallo are just 23 and 22 respectively, and while their talent is obvious, their lack of experience could be telling. Newly installed as captain for 2018/19, Reus will hope to finally leave the injury problems that have plagued his career behind this season. The rapid forward is one of Dortmund’s few world-class talents and when he plays well, the entire teams’ performance is dragged up a level. Summer signing Axel Witsel brings vital experience and top-level knowhow to an otherwise young-looking Dortmund midfield. The Belgian international should also add steel to complement the abundance of technical, if lightweight, quality in BVB’s squad. Witsel has 96 senior caps for Belgium and has played just under 100 games in European club competitions. Borussia Dortmund play away from home in the Bundesliga 5 times directly before mid-week Champions League excursions. 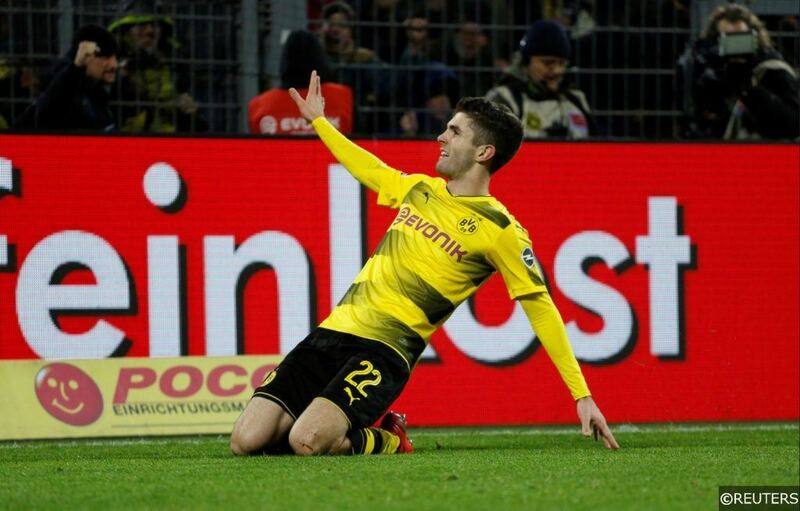 Der BVB face the prospect of a negotiating their hugely important Revierderby against Schalke 04 just a few days before travelling to take on Monaco in a potentially pivotal UCL Match Day 6 fixture. It’s not all doom and gloom however – Dortmund play at home 5 times directly after mid-week Champions League fixtures too. The toughest of those is undoubtedly their meeting with Bayern Munich a few days after they play away to Atlético Madrid. Monaco finished 2nd in Ligue 1 in 2017/18, securing a place in the Champions League Group Stage. Monaco reached the Champions League Final in 2004 where they lost to Jose Mourinho’s FC Porto. They reached the Semi Finals in 2016/17, but were beaten over two legs by Juventus. Although the club from the Principality are a familiar name at this level (this will be Monaco’s 5th straight season competing in the Champions League), the French side come into this year’s competition as a relatively unknown quantity. Just like Group A opponents Borussia Dortmund, Monaco’s ranks are routinely raided by the continents bigger teams, and though the club’s expert scouting network continue to unearth gems, you get the sense that a regression in performances is on the horizon. This summer, Thomas Lemar, Fabinho, Terence Kongolo, Rachid Ghezzal and Joao Moutinho left Monaco. The departures earned the club approximately £150m in transfer fees, but once again it stripped the team of some of their most talented footballers. That quintet left through the same exit door that was still swinging on its hinges following the departures of Kylian MBappe, Benjamin Mendy, Bernardo Silva and Tiemoué Bakayoko last year, and though Monaco have reinvested a large chunk of the transfer fees they received on replacements, the huge turnover of personnel has left Monaco’s squad a difficult collective to evaluate. In the early parts of the new domestic season, Monaco’s performances have understandably looked a little disjointed – they managed just one just one from their first four Ligue 1 fixtures and they were battered 4-0 by PSG in the Super Cup. Les Monégasques will be desperate for their new players to develop some chemistry soon as they look to avoid a repeat of last season’s Champions League horror show. Monaco finished bottom of their Group in 2017/18 after they failed to win any of their games against RB Leipzig, Besiktas and FC Porto. With one of the youngest squads in the competition, Monaco have bags of energy in their ranks. Manager Leonardo Jardim is tactically brave and Monaco are happy to attack with equal frequency both home and away. Their ability to play on the front-foot away from home can often catch teams cold. The energy and enthusiasm of youth can often be offset by a lack of experience and Monaco’s squad looks short of top-level knowhow. Most of Monaco’s players are much better with the ball than they are without it and that makes them vulnerable to counter attacks, especially at European level. Les Monégasques have only kept one clean sheet in their last eighteen Champions League fixtures. 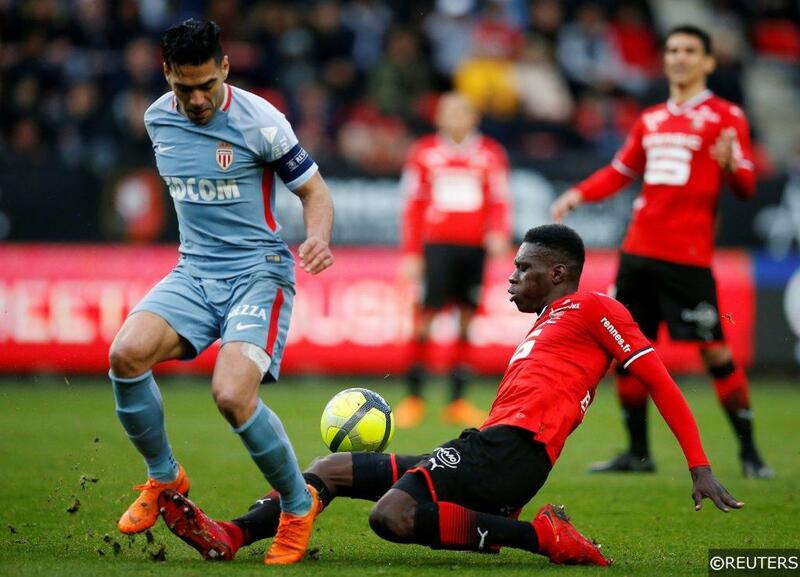 After failing to live up to his reputation in England, centre forward Radamel Falcao has rediscovered himself at Monaco. The Colombian has scored 50 times in 75 Ligue 1 appearances since moving to France and the 32-year old remains the focal point of the Monaco attack this season. After the departure of Thomas Lemar over the summer, Rony Lopes is expected to be handed much more responsibility in Monaco’s team this season. Lopes will be tasked with providing the majority of the team’s creative spark from wide areas, and Monaco will also expect the winger to chip in with his fair share of goals. Lopes scored 17 times in all competitions last season and the 22-year old is capable of breaking the 20 goal mark this year. Monaco have only kept 1 clean sheet in their last 18 Champions League games. Monaco have only failed to score in 1 of their last 13 Champions League away matches. There were over 2.5 goals scored in 13 of Monaco’s last 15 Champions League fixtures. Monaco play their first 5 Champions League Group A fixtures directly after away matches in Ligue 1. The flip side of course, is that Monaco have home matches to look forward to after their first 5 mid-week commitments. Les Monégasques vital looking Match Day 6 fixture against Borussia Dortmund comes sandwiched in between two extremely tricky domestic matches against Nice and Lyon. Club Brugge won the Belgian First Division A last season, earning them a place in the Champions League Group Stage. Club Brugge were beaten finalists in 1978 in the old format of the competition. They lost the Final 1-0 to Liverpool. They have never made it past the Group Stage of the newer Champions League format. Club Brugge won the Belgian First Division A for the second time in three seasons in 2017/18, earning themselves another crack at the Champions League. The Belgians can’t do much worse than their last foray into the competition two years ago, when they lost all six of their Group matches in a section alongside Leicester City, Porto and FC Copenhagen. Club Brugge are the rank outsiders in Group A, though they will enjoy taking on some of the continent’s bigger names as underdogs. Any team that’s used to winning most weeks shouldn’t be underestimated and the Blauw-Zwart certainly fall in to that category. At the Jan Breydel Stadium, they are particularly formidable – Club Brugge have lost just two of their last twenty-nine games on their own patch. That sequence incudes a thirteen-game winning streak between August 27th last year and January 25th this year. The gap in class between Belgian domestic and Champions League football is an ever widening one however, and Brugge have won just one out of eight UCL home games since 2005. Head Coach Ivan Leko won’t be burdened by high expectations for this season’s competition and that’s probably just as well considering the strength of the other three teams in the Group. Club Brugge have pace up front and a genuine goal threat from midfield. Brugge averaged 2.8 goals a game in the Belgian First Division A regular season in 2017/8 and they were the highest goal scorers in the competition by a considerable distance. Aside from the gulf in class between Club Brugge and some of the teams they face in the Champions League, the Blauw-Zwart seem to have a mental block when taking on some of Europe’s more reputable sides. Head Coach Ivan Leko has to find a way to remove the fear that his team tend to play with on the biggest stage. Brazilian attacker Wesley Moraes has been making waves in Belgium since arriving in the First Division A in 2016. At just 21-years old, the powerful centre forward is already bullying defenders domestically and it will be interesting to see can he replicate his performances at a higher level. Club Brugge’s Group A rivals Borussia Dortmund and Monaco are said to be monitoring his developments closely. 30-year old midfielder Ruud Vormer is enjoying a late-career renaissance at Club Brugge. The former Feyenoord employee had his best ever individual season in 2017/18, scoring 11 times from deep to help his club clinch the league title. His performances caught the eye of Netherlands manager Ronald Koeman, who handed Vormer is first senior cap in May of this year. Club Brugge have lost just 2 of their last 29 home games in all competitions. Club Brugge have only kept 1 clean sheet in their last 13 Champions League fixtures. Club Brugge have conceded at least 2 goals in 9 of their last 10 Champions League matches. Club Brugge play at home before 4 of their 6 Champions League fixtures, which should help with their rest and preparation ahead of tough European contests. However, they will play away fixtures in the First Division A after 5 of their Champions League matches are completed. Their trip to the Spanish capital to play Atlético Madrid on Match Day 2 comes after the hugely significant Bruges Derby against Cercle. Club Brugge are scheduled to play three successive away matches around Champions League game week 4 at Genk, Monaco and finally Sporting Charleroi. Fatigue is likely to have a noticeable effect on their performances during that arduous looking 7 day period. Categories: Blog, Champions League, and Football. Tags: Atletico Madrid, Borussia Dortmund, Champions League, Champions League Group A, Club Brugge, and Monaco. 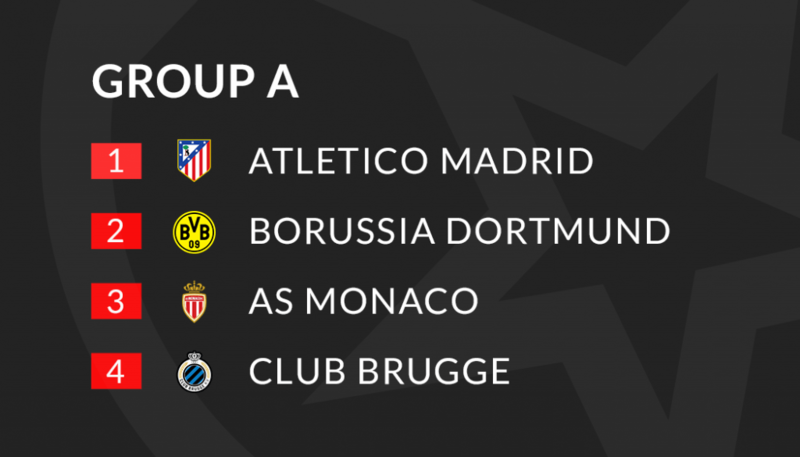 Team Tag: Atletico Madrid, Borussia Dortmund, Club Brugge, and monaco. League: UEFA Champions League. Sports: Football.